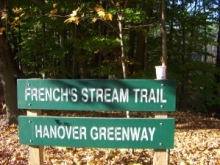 The French's stream trail is one of the many hiking trails of the hanover greenway project. This fairly short trail, barely making it to half a mile, is an easy walk that connects the Ellis field playground with the larger newly developed Forge Pond Park. (north or south) to Circuit st.
shape that intersects route 139 in two places. From either end follow the street to the intersection with Summer st. There you will find the Ellis field and abundant parking. The parking lot across from Ellis field may be the easier option for hiking this trail as you will need to walk a short distance down Circuit st to the trail head. From the parking lot across from Ellis field cross Summer st and walk south on a well worn path on Circuit St. You will soon find the trailhead which is now marked by a sign. Before the sign it was a hard to find this trail. It starts as a narrow corridor between private residences. Once on to the conservation property it widens out to a cart path. It soon reaches and crosses a power line. It enters again across into the woods. You will already hear the sound of running water as the crossing over French's stream is just a short way up the trail from this point. are the bridges that help connect the properties it's trails traverse. 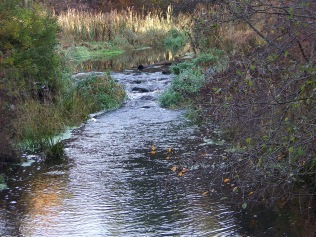 This one is as nice as any with good views up and down stream. One thing that should be known about travel on the hanover greenway is that it does not have the usual type of trail markings that a regular hiker is accustomed to. Usually you will find systems of markings with brightly colored circles, triangles or rectangles marking most trails elsewhere. 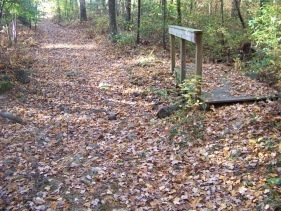 The hanover greenway only uses it's circular town of hanover conservation emblems and arrows to mark the way. 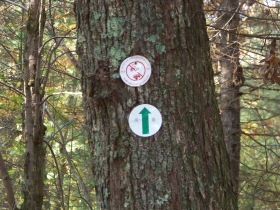 Sometimes this can be confusing as you may not realize that this is how the town is marking it's trails. 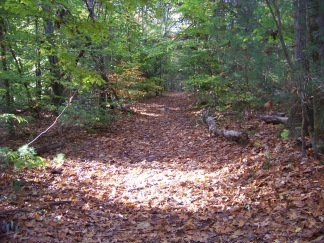 Once the trail passes over the stream, the trail remains a cart path (good for biking and cross country skiing). It crosses an area that in other seasons looks to be wet, possibly a water run off area, but as I hike it in mid autumn it is dry. 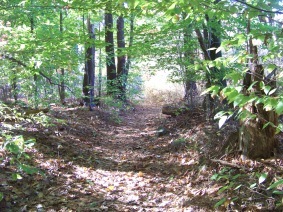 Soon the trail lets out to the new and expansive Forge Pond Park located on King st. Plenty of parking here! 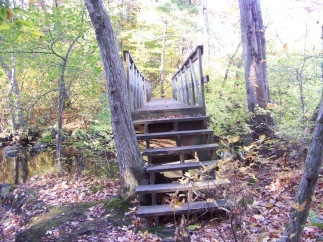 From this location you can access the Clark Bog Loop Trail (almost directly across the park) or the Fireworks Property Trail that continues the hanover greenway network of trails which is located across the street from the park. 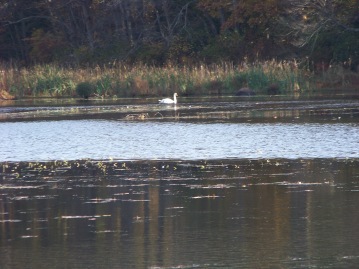 A short walk into the park are points to view Forge Pond and it's inhabitants. from Boston take route 93 south and route 3 at split. Take exit 14. At end of ramp take right on to Hingham st. into Rockland. At end take right at lights onto Webster st. Follow to first intersection with Liberty st taking a left. At end take left on Market. 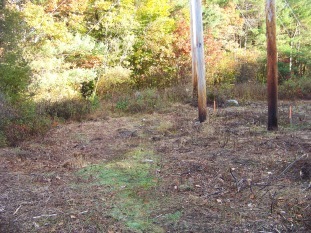 This will become Hanover St. at line. At lights take right on Circuit. 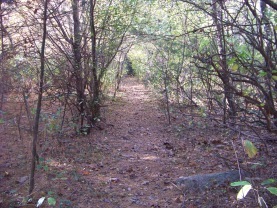 Trail head is just past Summer St. on right. either Ellis Field parking or lot across the street.